Happy Friday sweet readers! I am so relieved it's finally here. For some reason this entire week seemed to be dragging its feet! I've compiled an easy Halloween costume for you (and you'll look super chic). How about being Audrey for a day? I actually wore this exact outfit today, minus the earrings and the eye shadow, because I do not need have time for those things. Such a classic look. Get a vintage cigarette holder and viola! Check out more Fancies over at Long Distance Loving! On another note, we leave for Paris in less than one week! I am beyond excited! Happy weekend lovelies! 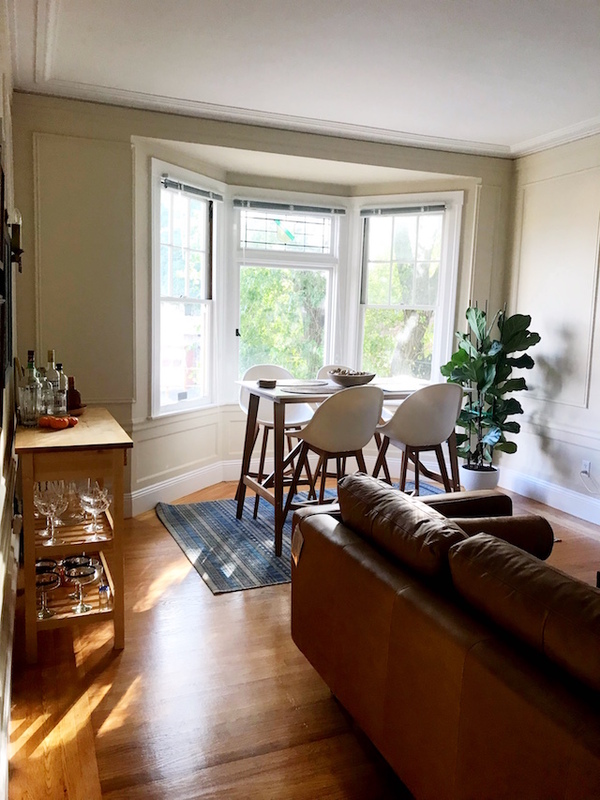 Too cute and so so simple! I absolutely love this! She's such an icon, love it. Have a fabulous weekend Alexa! That's a great (and relatively easy) costume idea! Love it! You can't go wrong with a little Audrey inspiration (and a costume that requires pretty much no money spent). I can't handle the turtleneck though. It makes me feel strangled. lol. I love this! I've been Breakfast at Tiffany's Audrey a few times, but this one is much more original! Adorable! Dressing up as Audrey would be the chicest costume ever! What a fab idea!! I love me some Audrey! So glam - love this whole outfit! Yep this whole look is adorable! I am sure you were rockin it for sure! And yeay for the weekend--whoop! I love any excuse to dress up as Audrey! I even dressed up as her on my hen weekend a few weeks ago...I adore her! Oh, this is a good one. So chic!! Love this! No matter what, she will always be my fashion inspiration. I love those flats and the studs! That eye makeup is goooorgeous! This definitely would be a stylish costume...I love that idea! this is a sublime outfit. You can never go wrong mimicking Audrey. 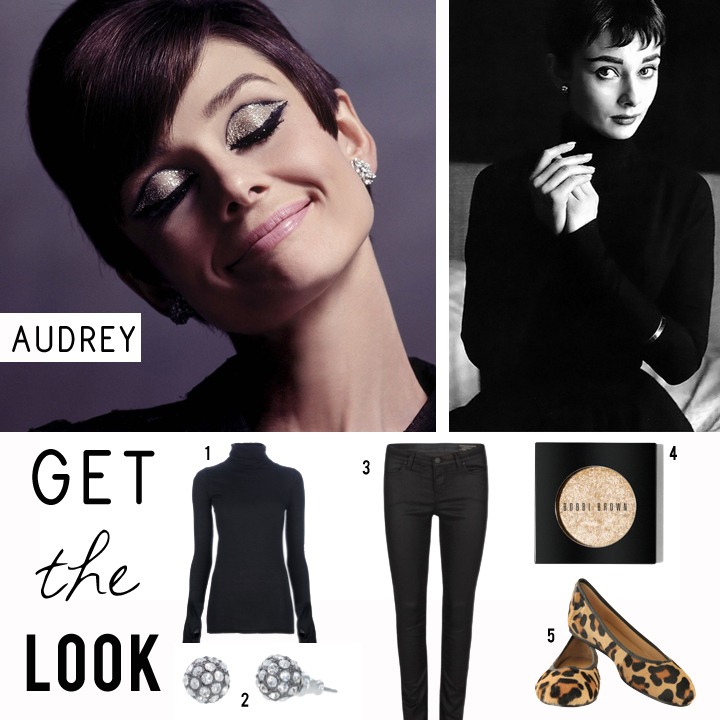 Love Audrey – such a classic look! I <3 Audrey and love love love your re-creation!! I love how this is both a halloween costume and an everyday look! I love Audrey - one of my fashion icons! so chic and classy- the shadow would be so fun for an evening out! Classic! The eye makeup is so pretty! Perfection!!!! Love it all!! Especially that glittery eyeshadow! !